The works of the six finalists in the 2016/17 SA Taxi Foundation Art Award will be on display to the South African public from the end of July, carried as decals on 60 minibus taxis. 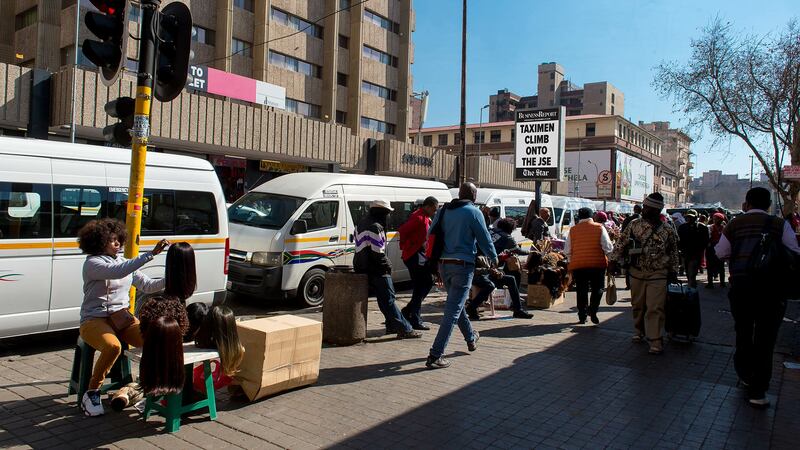 The taxis will travel on conventional routes in the cities of Tshwane, Johannesburg, Cape Town, and Bloemfontein and also in the rural areas of Mpumalanga and Limpopo. Certain of the taxis will also be highly visible in the creative hubs of the metropolitan areas. “Because one of the aims of the SA Taxi Foundation Art Award is to provide opportunities for emerging artists to expand public awareness of their work, we felt that it was important for the finalists’ pieces to be constantly on view in areas, such as Maboneng and the Market precinct, where people are pro-actively looking for fresh, innovative products,” says SA Taxi Foundation project co-ordinator, Queeneth Brown. Having finalists’ work circulate the country on minibus taxis is an essential part of the role the SA Taxi Foundation Art Award plays in deepening South Africa’s pool of multi-disciplinary creative professionals. It is the only award that requires artists to create an original work and then translate it into a decal that can be wrapped around a minibus taxi – as a form of mobile art. Mobile art is a growing trend around the world. In addition, artists and designers must work to an external brief and a deadline as they would in the corporate sector. For artists, this exposes them to a different process from the one used in creating an artwork, where the parameters and creative expression are self rather than client defined. From the perspective of designers, the competition allows for freer expression than they usually experience in their professional lives. Entrants also work in more than one medium in order to deliver a product that works as well in 3D format, on the taxi, as it does in its original medium. Every year, therefore, the Award engenders among progressively more artists and designers multi-disciplinary creative capabilities that are also professional. The minibus taxi sector also benefits directly from its involvement in the Award, with the vehicles that carry the decals drawing more commuters, thereby improving profitability and helping to brand the operators’ businesses. Freddy Matotoka, the operator of a vehicle that has carried finalist decals since the Award was launched in 2014, says that having an artwork on his vehicle illustrates his values as an operator: being concerned for the safety and comfort of his passengers. “Also, you can’t see all four sides of the taxi at once and there’s a different picture on each side. This gives commuters the sense that they are seeing a new taxi each time they approach it from a different angle. It causes a lot of discussion among commuters. They will actually hurry to get on it so that they don’t have to ride in a boring taxi. Each of the six decals will be carried by 10 minibus taxis for the next six months. The specialised work of producing the decals and mounting them on the taxis is undertaken by Taxi Media, a division of SA Taxi geared to helping taxi operators generate more income by carrying advertising inside and on the outside of their vehicles. Members of the public are encouraged to upload their photos of the art taxis on their social media platforms using #spotthesataxi as a hash tag.